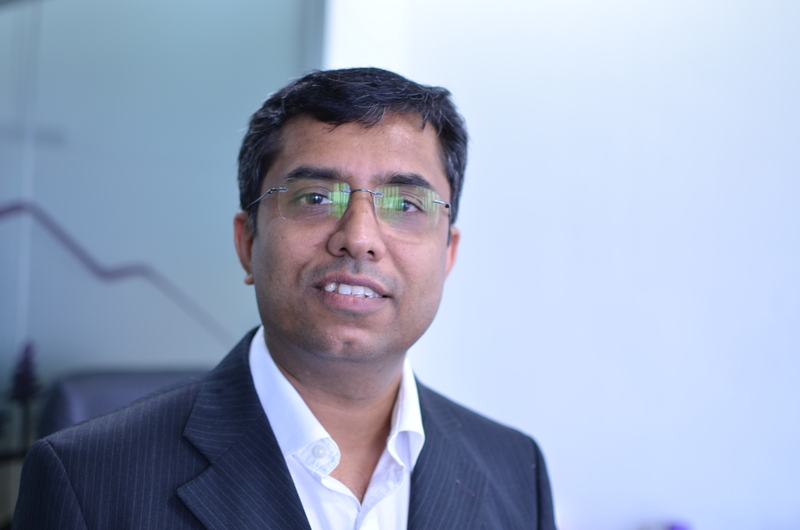 With 25 years in various executive leadership roles in the Indian Air Force as well as executive management roles in various software companies, Binu has a track record of building successful business lines around enterprise software products, as well growing early stage software product companies. An alumnus of IIT Delhi, Binu is also a gifted singer with a sizeable fan following. 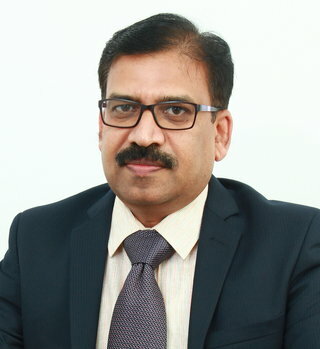 Sreekumar has 24 years experience in Technology Management and execution roles in large and medium sized IT companies where he has architected and deployed several successful software solutions for large and mid-sized organizations. Sree has deep experience in Engineering Services and Enterprise Mobility domains. An alumnus of BITS Pilani, Sree digs deep into classical music to shut the world out once a while. Sree is also a regular face at many marathons. As Chief Operating Officer, Suresh is responsible for managing the company’s operations, including the people function and ongoing operational excellence. In addition, Suresh heads the Product Engineering Services vertical. He is known for setting up small and large delivery operations of both global and smaller scales. His passion for successfully executing mission-critical and very large projects is high. 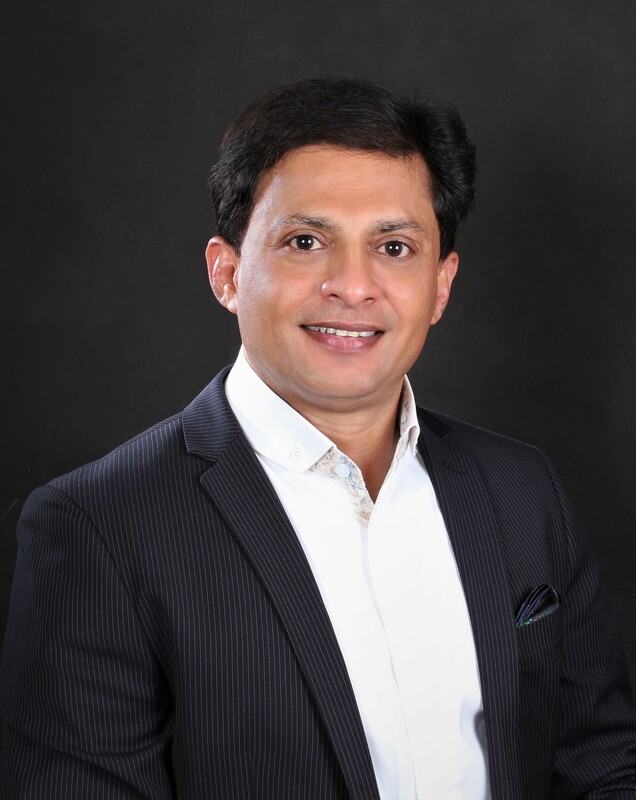 Prior to co-founding Experion, Suresh was the Vice-President at IBS Software Services, where he was heading its Bangalore operations and was responsible for developing and growing business critical software products for leading global airlines and airports. 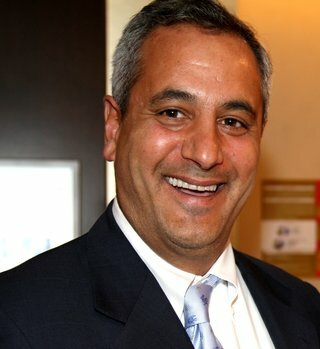 He has also played key leadership roles in organizations such as GE, Mphasis and EDS. Suresh has in-depth international experience in Product Engineering & Implementation and the Software Services industry with an outstanding track record in leading and growing small to large business units. 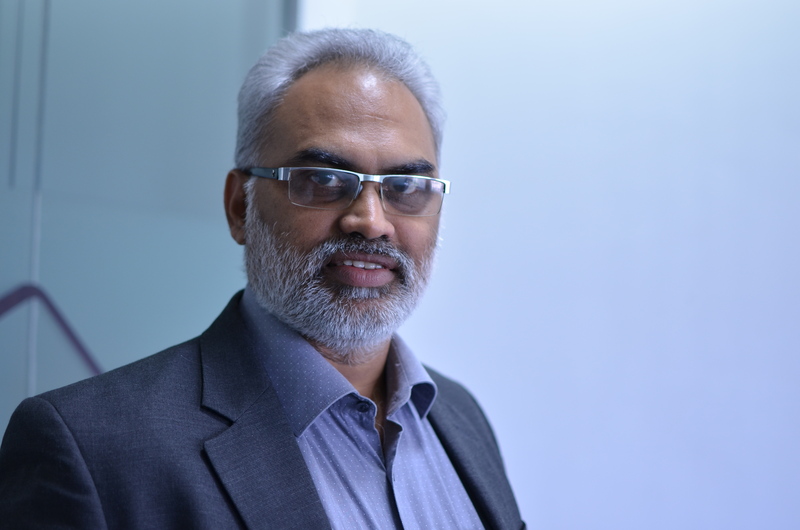 In his career spanning over 26 years, Suresh has spearheaded successful global delivery, consulting, operations and people management functions. 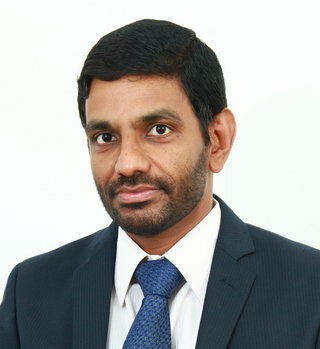 Suresh holds a Masters degree in Computer Applications from the Bharathiyar University. 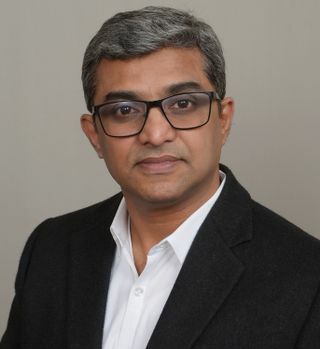 Based in Dallas, Texas, Manoj Balraj has 23 years of experience spanning across Business Strategy, Global Sales, General Management and Technology. He has worked with various software companies where he also set up and led global sales organizations. At Experion, Manoj focuses on leading global sales and marketing efforts and retaining Experion’s edge as one among the best known global digital solutions companies. Manoj completed his Mechanical Engineering followed by an MBA in Marketing and Operations. He is an active mentor associated with fostering youth entrepreneurship and is also a volunteer at various non-profit organizations. During his spare time, Manoj dabbles in amateur poetry and live theater. 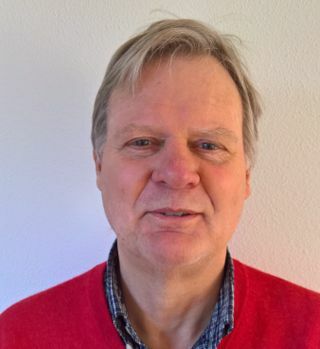 Jaimy has 24 years of experience in software engineering, instrumentation and heavy engineering domains. He has managed and delivered complex engineering and software projects for companies such as GE, NPC & IBS. Jaimy has been a top performer and gold medalist right from school through his engineering degree. Jaimy is a regular participant in marathons. With over 25 years of experience in the Financial Software domain, Myron has been a strategic consultant for clients such as Sotheby’s, Saatchi & Saatchi, Cartier & Caterpillar. Myron is now quite active in the Blockchain Technologies space. Myron is an alumnus of the International School Geneva, and The University of Geneva, with a BSc in Economics and Social Sciences. Martin is a maritime expert for ports, terminal operations, shipping and logistics with 30+ years of experience in the industry. Martin served in the merchant navy and worked for shipping lines and terminal operators before getting into management consultancy. With a BSc (Engg) from Rotterdam Institute of Technology in Maritime Science; a navigation degree for seagoing ships; and a Post-Graduate course in ‘Analyse, Understand & Construct’ (BPR) from TSM Business School, Martin steers our Maritime Business from Netherlands. Based in Dubai and heading the Middle East and Africa Operations, Monis has over 25 years of experience in the Information Technology space covering Enterprise/ SME regional sales roles in the products, solutions, services and consultancy domains. Before joining Experion MEA as a partner, he was with IBM Middle East for 21 years, covering various regional roles. At Experion, Monis will focus on leading the Middle East and Africa operations to develop Experion’s edge as one of the best known global digital solutions companies in the business. He is an alumnus of Henley Management College, London, with a Masters specialization in Innovation Management & Creativity. Satheesh Baskaran is a business management professional with 17 years of experience working with IT products & services companies. Starting his career in the Analytical and Test & Measurement industry, Satheesh has handled Product Management & Sales functions, consulting and selling turnkey Analytical solutions for several global R & D facilities, DRDO organizations & Fortune 500 manufacturing companies. As part of Product Management functions Satheesh has managed product road-map, specifying market requirements, establishing product variants and implementing a go-to-market strategy by collaborating with product development teams. Specializing in Surface Transportation & Strategic IT solutions, B2B sales, he has strong competencies in multi-stakeholder engagements working in the Transportation Safety domain with Government agencies & Transportation departments in the Middle East & African markets. 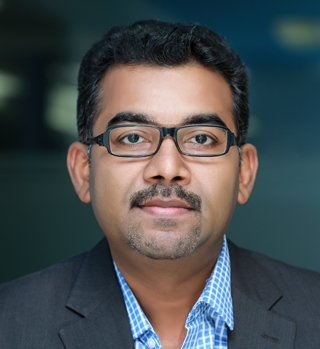 In his current role, Satheesh heads Australia & New Zealand region operations for Experion technologies, undertaking Sales & business development activities & managing key accounts in the region. He is responsible for planning and achieving the business objectives for the region by nurturing & growing focus accounts, partner engagement and identifying models for business growth. Satheesh has contributed significantly in growing the region with focus on key verticals and acquisition of enterprise accounts in the region, managing ‘C’ level expectations and aligning offerings to help them achieve their KPIs. Satheesh is a post graduate in Physics with a MBA in Marketing from Madurai Kamaraj University and is trained in Achieve Global’s Professional Selling Skills (PSS), Mercuri Goldmann’s B2B Sales & Marketing Effectiveness program and Value Selling techniques. Ganesh is a senior consultant and business management professional and has worked with leading IT services giants such as Tata Consultancy Services and IBS Software Services. 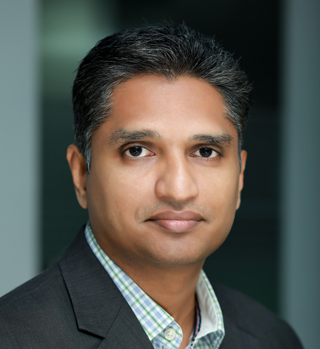 With an overall experience of over 15 years, and being certified Siebel CRM Consultant, Ganesh has worked in consulting and implementation projects for large enterprises such as GE Healthcare and Korean Air. Ganesh is a Mechanical Engineering graduate from the Government College of Engineering, Trivandrum, and is a PG in Business Administration from the Amrita School of Business.